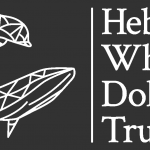 To integrate Gaelic into HWDT’s successful schools programme, Hebridean Marine Explorers and support HWDT to become self-sufficient at maximising the use of Gaelic language. The focus of this short-term placement will be to develop and adapt HWDT’s current education resources, specifically for the needs of Gaelic medium classes. Finishing with the opportunity to deliver these resources in schools across the Hebrides, with the support of our Community Engagement Manager. This project would suit a Gaelic Language graduate looking to apply their skills and knowledge to promote the use of Gaelic in education. Providing the right candidate with a chance to make a significant, lasting impact at HWDT. Attend a variety of school workshops (primary and high school) with the Community Engagement Manager to gain a thorough understanding of the Hebridean Marine Explorer programme and content. Assess HWDT’s existing education resources and identify ways to adapt and strengthen these for Gaelic medium classes. Transform HWDT’s existing resources into inspiring, engaging Gaelic resources. Deliver the newly created Gaelic resources in schools across the Hebrides, as part of the Hebridean Marine Explorer project, with the support of our Community Engagement Manager. This may include classroom visits, outdoor headland watches and floating classroom workshops, on board our research vessel Silurian. Create a Gaelic Toolkit with helpful information and tips to support and encourage HWDT Staff and Volunteers to embrace Gaelic in our current and future education projects. Identify areas for future development, supporting HWDT to continue to increase the use and visibility of Gaelic, whilst enhancing our education and engagement programmes.